The Westport Historical Society’s most recent mystery object — part of a “Westport in 100 Objects” exhibit that changes every 2 weeks — is a foot warmer. Leiliani Fleming identified the circa-1850 item. She wins something from the gift shop. 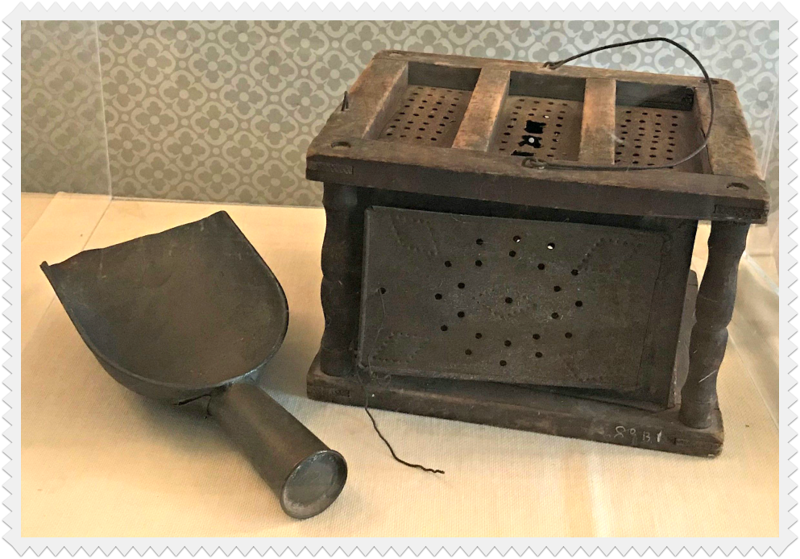 The most common use of a foot warmer (aka foot stove) came during the 4- hour services held every Sunday in local churches, during the 17th and 18th centuries. At midday — when parishioners broke for lunch — they put fresh embers in their foot stoves, before heading back for more prayers and sermons. Foot warmers were also used in unheated carriages or sleighs in the 18th and early 19th centuries. With the advent of rail travel, foot warmers migrated to trains. When the ceramic hot water bottle came into use in the mid-19th century, and heating improved in homes and churches, the foot warmer was relegated to an antique reminder of earlier times. This entry was posted in Categories and tagged foot warmer, Westport Historical Society. Bookmark the permalink.